For my wife, there are two seasons - baseball season and the off-season. And, since she's busy watching baseball during baseball season, the off-season is a good time to try to get her to play games - like Harry's Grand Slam Baseball. In Harry's Grand Slam Baseball, two players play a very fast paced game of baseball. Just like in baseball, the game consists of nine innings of players alternating who is at bat, and the person with the most runs at the end of the game is the winner. In any given inning, whichever player is "at bat" will get to play the first card. Cards represent possible outcomes of an at bat - they can be an out (of various kinds), a double play, a single, double, triple, or home run. They can also be something that occurs during an at bat - such as a balk, a stolen base, or a wild pitch. As each player plays a card, it affects the runners on base, and sometimes causes some of them to score runs. But, once there are three outs, the inning is over - all runners are cleared, and the next player starts their turn "at bat." And, to mix things up, after the third and sixth innings, the entire deck is reshuffled (along with both players' hands), and everyone gets new cards. After nine innings, whoever has the most runs wins! The first pro that I found for Harry's Grand Slam Baseball is that it gives you a taste of baseball, but is very fast paced. The game doesn't attempt to be a simulation, which is obvious by the fact that an at bat consists of a single card - you don't have to worry about pitch counts, or anything else complicated. You simply play a card to determine the outcome of the play. The next pro that I have for Harry's Grand Slam Baseball are the "Pinch Hitter" cards. These cards represent putting in a new hitter (or pitcher), in place of the ones in your hand. Whenever you draw a Pinch Hitter, you must immediately play it in front of you, and you draw a card from the top of the deck and put it face down with the Pinch Hitter card. (You also get to re-draw your hand back up to three cards). At any time later in the game, if you don't like the cards in your hand, you have the option of playing your Pinch Hitter instead. Simply flip the facedown card over, and this is your new result - it may be better than what you had in your hand, but it might also be a homerun for the other team! The last pro that I will mention for Harry's Grand Slam Baseball is that you can easily play it with kids. As long as both players have a basic understanding of baseball (runners advancing, played over nine innings, three outs, etc), you can play with anyone. There's not especially much text in the game, so I'd imagine that you could even play with children as young as 3-4 if they were interested in baseball. It might push their attention span slightly, but the game only lasts about 15 minutes, so they could probably handle a full game with no problems. However, the speed and simplicity of Harry's Grand Slam Baseball also has a negative side - the game really isn't deep. There are a few strategic decisions, such as whether you should try to get runners on base before playing your homerun, and when you should play a Pinch Hitter. But, for the most part, the game is very luck based. If I am at bat and my opponent happens to not be able to draw any out cards, then I'm likely to have a high scoring inning. But, if I'm at bat and all I can draw are outs, then I'm going to do very poorly. Overall, I give Harry's Grand Slam Baseball a 7.0/10. I can appreciate the game, and I can see why people enjoy it, but for me there isn't enough decision making to really get me to keep playing the game. If you Harry's Grand Slam Baseball sounds like something you would enjoy, you might also check out Gubs, Jab: Real Time Boxing, and Tsuro. A deceptively simple game that I've been playing recently is Timeline. The premise of Timeline is very simple - you are supposed to place events (or inventions, discoveries, etc, based on which set you are using) in their correct order in the timeline. To start the game, each player is dealt a handful of cards, which they place in front of them on the table. One other card is dealt into the center of the table, date showing, to seed the timeline. (These cards each represent something that happened at a specific point in time. One side of the card depicts the event, and the other side depicts the event and also has a year on it.) Each turn, the active player attempts to play a card by placing it somewhere in the timeline and then flipping it over. If they have placed the event in the proper location, then their turn is over; otherwise, they must draw a new card. The first person to run out of cards is the winner. Timeline is a bit of an enigma to me. The game doesn't really sound very exciting. And yet, my first pro for the game is that it is fun to play. I am not typically a person that enjoys trivia games and, though it plays a bit differently than a "normal" trivia game, Timeline is still a trivia game at its core. It's really amazing how something so simply can create an enjoyable experience. And, as an added positive - Timeline is simple enough that you can teach it to anyone. It could easily be taught to any of your friends, regardless of previous gaming experience, and they could pick it up quickly and enjoy it with you. The next pro for Timeline is that there is, surprisingly, strategy about playing the game. With a normal hand, you will generally have some cards that you know pretty well, some that you have a decent idea about, and some that you have no clue about. But, with those, when should you play each card? Should you play the ones that you have no idea about first, and hope that you're able to successfully play them since your odds are better of guessing correctly when the timeline is small? If you do that, then the ones that you only have a vague idea about will become much harder to play later - after all, if you know that something happened in the 1800's, and there are several cards already played in the 1800's, then suddenly your card is much harder to play. What's more - you know what cards your opponents have. So, should you play some of your cards that happened around the same time as theirs in order to make their cards harder to play? Like I said, the game itself is very simple, but forming a strategy about the order of playing your cards adds some depth to the game. Is this where the Can Opener goes?? Yet, Timeline still has a few drawbacks. First is that I think it lacks in replayability. When I love a game, I really want to play it over and over again. However, if you do this with Timeline, you're going to wind up learning the dates of the various events. And, whereas learning is generally considered a good thing, and may help you feel better about yourself, it will also break the game of Timeline if one player knows when everything happened. This issue can be mitigated in a couple of ways - first, there are four different Timeline sets that you can purchase (separately, of course), and this allows you to play the game with different cards. And, secondly, if you are careful to leave a few weeks between your plays of Timeline, then you will likely not remember when everything happened. Regardless, Timeline isn't something that you're going to be able to sit down and play all night. The second con is that the enjoyment of the game is going to be highly dependent on the equality of the players. Since Timeline is a trivia game (and not a game of highly obscure trivia game like Wits and Wagers), some people will know more answers than others. And those people will win the most. 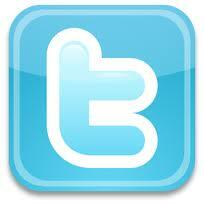 So, the ideal group for Timeline will be a group of people that have an approximately equal knowledge of history. The last con that I have for Timeline is that the cards drawn can sometimes highly favor one player. Why? Because there are some cards that are really obvious about where they go in the timeline. Cards like "The Earth is Formed." Well, I may not know an exact date for that, and regardless of what you believe about creation versus evolution, you still are going to know that this card goes earlier than anything else on the timeline. As long as a lot of these obvious cards aren't drawn, everything should be alright - but I had a game where I drew "The Earth is Formed," "Dinosaurs Appear," and "Dinosaurs Become Extinct" in my opening hand. These three cards were all especially easy to play, and, un-surprisingly, I won that game. Overall, I give Timeline an 8.0/10. I'm glad to have it in my collection, and I intend to continue playing it for a long time, but the amount of time that I have to wait between plays keeps it from being one of my upper echelon games. If Timeline sounds interesting, you might also check out Wits and Wagers, Biblios, and Code 777. A game that I've wanted to try out for quite a while is Kingsburg. In Kingsburg, each player is attempting to help rebuild the kingdom, and fight off invading minions, in order to gain the King's favor. In order to do this, the game is played over a series of five "years" with each "year" having three productive seasons and then an invasion. The core of the game is the productive seasons. In each productive season, all of the players roll their three dice. Then, starting with whoever rolled the lowest, players take turns placing a group of dice on the board. Legal placement is determined by the die rolls - for example, if you've rolled a 3, 5 and 6, then you can place a die on the 3, 5, or 6, or you can place a group of dice on the 8, 9, 11, or 14. However, you cannot place dice on a spot that has already been claimed. After everyone has placed their dice, then players collect bonuses (generally resources) for the places ("advisers") where they have placed dice ("influenced"). Once these resources have been collected, everyone has the option of building one building - these buildings can help defend against invaders, provide you flexibility in the placement of your dice, or give you victory points. After the third productive season, each of the players has the opportunity to buy extra troops (they may have hired some during the productive seasons). Next, the first player rolls a die - this number is added to each player's number of troops, and each player compares their total to the strength of the invading armies. If you win, then you get a bonus. If you lose, then they destroy one of your buildings. Finally, you move everyone's number of armies back to zero, and start the next year - and, at the end of the fifth year, whoever has the most victory points wins! The first pro that I have for Kingsburg is that I like the fact that your dice drive your placement. 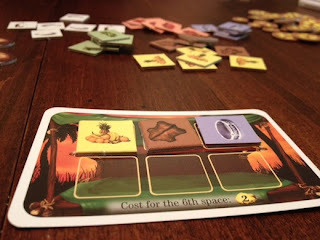 I think that it forces players to make the most of what they roll, and is a very interesting and rarely-utilized dynamic (yes, I realize that Alien Frontiers and To Court the King also do similar things, but I believe Kingsburg came out before Alien Frontiers). Plus, there are mechanisms within the game that let you alter your roll. This enables you to do a combination of adapting to your die roll to your strategy and making your strategy adapt to your dice at the same time. Specifically, there are some "+2" markers (that you earn in various ways) that you can play along with a group of dice to increase their value by exactly two. Also, there is a building that allows you to place one group of dice per productive season on an adviser that is adjacent to the one that is equal to your dice value. Other buildings can give you more dice, or let you re-roll some of your dice if you roll especially poorly. These factors work together to make the game fun. Another element of Kingsburg that I like is that you have to pay attention to the invading horde. But, what I like more about this is that there are a couple of advisers on the board that allow you to look at the strength of the invading horde. So, as the round is being played, you are able to better plan for how big your army needs to be (and which buildings will give you bonuses). This is especially important if you intend to build one of the most expensive buildings, as they are the ones that will be destroyed by the invading army - so, you want to make sure that you're going to be able to protect it, if you choose to build one of these buildings. However, you never truly know how large your army needs to be, since you add a die roll to your troops. This leads me to my first con. Kingsburg is a bit too random for me. All of the die rolling is what makes the game fun, but at the same time, it can becoming frustrating quickly when some of these random factors work heavily against you. One example is in fighting off the invading horde. When fighting off the horde, there are two approaches you can take - you can either try to get enough armies that you are guaranteed to win (assume that the die will be rolled a one), or you can rely on the die to help you win the battle. The problem is, whichever of these choices you make is only the "ideal" choice if the die rolls as you anticipated. If you build a giant army, and the die rolls a one, then you feel like you made the right choice spending all of your resources and influence towards building an army. However, if it rolls a five or a six, then you realize how much time you wasted building this army that now gets reset back to zero (aside from strength that comes from buildings). So, the invading horde is basically a press your luck element. And, though I'm fine with games that are based around pressing your luck, I find that it can be very frustrating in a more strategic game. The other element that is a bit too random can be worded this way, "Bad rolling prevents good strategy." What I mean by this is that there are some rolls that are just awful. The more I've played the game, the more impressed that I have been that rolling higher doesn't mean that you are guaranteed to gather more resources than your opponents. Ultimately, the higher spots generally get you around as many resources per die as lower spots do. That is, unless you roll very low. For example, if you roll all 1's. This roll is awful. It allows you to claim a single resource on your turn (or, if you are lucky, a resource and a victory point). Generally, you gain approximately one resource per die - some spots allow you to get a bit more than this, or give you flexibility on what resource you select in place of getting as high of a quantity. But, a normal productive season will net about three resources. So, getting one resource, puts you at a major disadvantage - and had nothing to do with what your strategy was in the game. Now, rolling all 1's isn't common (though I've seen it), but in general, rolling all low dice is bad, because, though I said you average about one resource per die, when you have to put dice together to form a "die" (for example, putting a two and a three to make a "five"), then you are getting less resources per die. Overall, I give Kingsburg an 8.0/10. I really enjoyed my first few plays of the game, but I think that it will grow stale for me pretty quickly. The invading horde provides both a very neat strategic element to the game, but a very frustrating situation where your strategy's merit is determined by a die roll. If Kingsburg sounds interesting, you might also check out Alien Frontiers, Kingdom of Solomon, and Bootleggers. I like dexterity games. Ok. Perhaps the term is that I love dexterity games. Generally this means that I like flicking discs around various boards, tables, and race tracks. Occasionally, though, this infatuation causes me to branch out and play games like Bamboleo. Bamboleo is pretty simple. 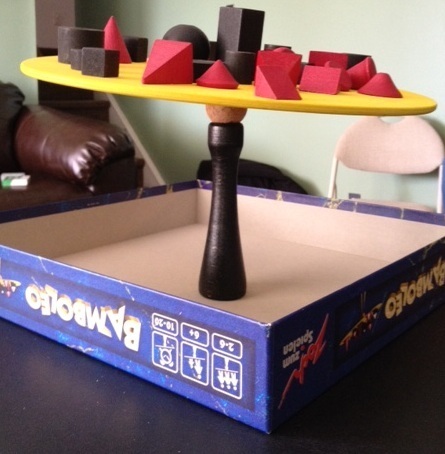 First, you balance the board with all of the pieces on it on top of a cork ball that is raised off of the table. Next, players alternate taking turns removing pieces from the board. Preferably without knocking pieces off or knocking the entire board over. Once someone fails at this (thus sending pieces flying), then each player gets a point per piece that they successfully removed. The person that knocked the board over loses three points. Then, you set everything up and go again - until someone gets 20 points! There are other rules about what happens if you realize that you're not going to succeed and you catch the board, or you put your piece back, etc. But, you get the idea - take pieces off; don't knock over the board. The first pro that I have for Bamboleo is the cork ball. I really wasn't expecting this game to work very well. Yet, the cork ball that the board balances on is really an amazing game piece. It provides enough friction that the board doesn't immediately fall over as soon as it is at a slight angle. Speaking of angles, they are my second pro - that you can have the board resting at all kinds of seemingly impossible angles. And it looks amazing and ridiculous, all at the same time. The next pro that I have for Bamboleo is that you can actually customize the difficulty a bit. If your group starts playing repeatedly and it becomes too easy to take pieces off, then you can set up the board so that it's a bit off-center (since there isn't a groove in the board to distinguish where it is supposed to rest on the cork ball). This will make it more challenging to judge which pieces will affect the equilibrium of the board. There are also various round shapes - some cylindrical, some oblong, and some just curved. And these can be set on their sides instead of being flat. Setting these pieces up differently will cause them to shift around as the board attempts to adjust back to equilibrium. And, as they shift, they might send the board toppling over. 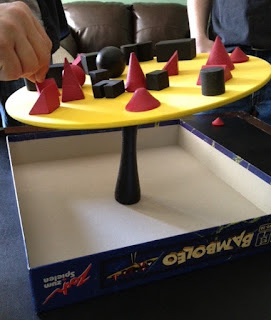 Finally, you can also stack pieces on top of each other to make the game harder - challenging players to attempt to take a lot of weight off of the board at once. If they succeed, they will get points for each piece that they remove; but they'll probably fail. 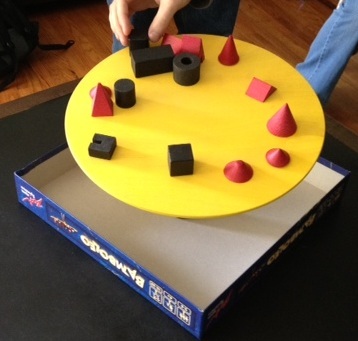 As a final pro, there is a gameplay variant where each player's score is based on how heavy the pieces they remove are. Whereas we didn't have a scale handy, so we didn't play this way, I think that it is a brilliant idea. After all, the heavier pieces are far more challenging pieces to remove, so I like that this variant rewards you for taking them. 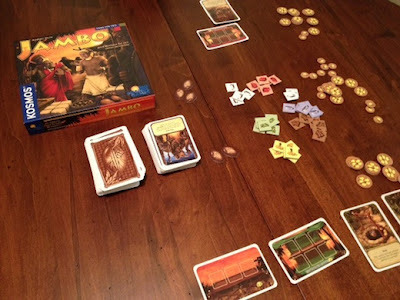 Yet, with all that is fun and exciting about Bamboleo, there is a major con - it is annoying to try to balance the board to start a round. Once you've played repeatedly, I'm sure that someone will grow more skilled at this, thus speeding up the process. But, especially when you just start playing the game, you may occasionally find yourself spending more time setting up the game than actually playing it. The only other thing that I will address before wrapping up this review is whether you can play this with children. The rules are incredibly simple, so from that perspective, you could definitely play with them. However, the game is all about stability - very slowly picking up pieces, and not bumping the table while the game is being played. And, well, I don't know your kids - so you'll have to decide if those are things that they can handle. If so, then this might really be a fun game that you can all play together. If not, then you might be incredibly frustrated trying to play this with them. Overall, I give Bamboleo an 8.5/10. This is a really fun game that I intend to continue playing with my friends when the opportunity presents itself. Yet, it hasn't managed to upstage flicking games like PitchCar to become my favorite dexterity game. But, hey - diversity is important, right? Maybe there's room in my collection for dexterity games that don't involve flicking. If Bamboleo sounds interesting, then you should also check out Elk Fest, Crokinole, and Fastrack. 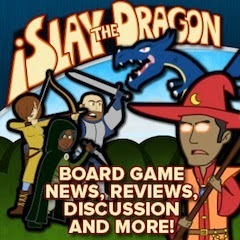 A while back, I did a top ten abstract board games list. One of the comments spoke incredibly highly of an abstract that I hadn't tried yet - Arimaa. So, of course, I hunted down a copy and tried it out! In Arimaa, the goal of the game is to get one of your rabbits onto your opponent's edge of the board. To start the game, you have an elephant, camel, two horses, two dogs, two cats, and eight rabbits (listed in order of power). Each player can set these pieces up however they choose along the two rows closest to them. Then, on each turn, players can make up to four total moves. A move is always orthogonal (not diagonal), and these moves can be split up among as many pieces as you would like. There are two special moves (that require two movement points) - you can push or pull an opponent's piece. To do either of these moves, your piece must be stronger than your opponent's. To push, you simply move your opponent into any unoccupied space adjacent to their current position and place your piece where they just vacated. To pull, you move your piece to an adjacent vacant space and move their piece to the spot you just vacated. These moves are especially important, as there are four black hole spaces on the board - if you push your opponent onto one of them, then they lose that piece. Two more special rules - rabbits cannot move backwards, and a piece adjacent to an opponent's stronger piece is "frozen" and cannot move (unless the piece is also adjacent to a friendly piece). Players alternate turns of four moves until one rabbit has crossed the finish line! Or, until one person has made so much rabbit stew that their opponent no longer has any rabbits to attempt to win with. The next element of Arimaa that I enjoyed was the black hole spaces. I really thought that this was a nice way of capturing pieces. Again, I will compare this to Chess, as Arimaa naturally gets that comparison (you play it on the same sized board, and with the same number and breakdown of pieces - in fact, you can use an Arimaa set as a Chess set if you prefer). In Chess, you simply have to land on an opponent's piece to capture them. I like that in Arimaa, it requires a bit more effort. The push or pull requires two movement points each. Plus, if the target is not adjacent to the black hole to begin with, it may require two push/pull maneuvers to capture a piece. However, even with that extra effort, it still does not necessarily cost your entire turn to capture a single piece - you may be able to push a piece into the black hole, and then still have two movement points remaining that you can use elsewhere. I really liked how the capturing worked here. Another reason that this worked so well is that the black hole spaces are positioned on the board so that a piece is never very far away from one. So, if you're not paying attention, you can lose a piece on almost any turn. My third pro for Arimaa is the mechanic that stronger pieces freeze weaker pieces. Just as much as capturing your opponent's pieces, freezing them is an equally important component to master. Yet, having a piece frozen isn't all bad, as you can unfreeze them with any of your other pieces - a lowly rabbit can unfreeze a piece that is adjacent to an opponent's elephant. (I'm not really sure how this works thematically (granted, abstract games don't have theme) - are they planning to attack the elephant together? That reminds me of some of the handicap matches that Andre the Giant used to fight. Andre always won.) This ability to unfreeze is especially important when trying to get your rabbit across the finish line. Many times a player will leave their cat pieces behind (mainly because they're not very strong and would get slaughtered if they charged ahead), and these pieces can be positioned to freeze a rabbit that is attempting to cross. It's easy enough to get around this by moving another piece along with your rabbit. However, unfreezing the rabbit requires you to move the escorting piece as well, which costs extra movement points. And, if you run out of movement at the wrong time, their cat might throw your rabbit into a black hole and force you to start over with another one. Overall - freezing is really a beautiful mechanic in this game that adds a lot of depth to strategy. My fourth pro for Arimaa is that I like the freedom that the game allows. I like that you can setup your pieces however you want, and that you can split your movement points up among different pieces. However, possibly due to this freedom, I must share my sole con for the game: players that are prone to think for long periods of time can make the game drag. This is true in a lot of abstract strategy games (since the entire game is visible in front of you, if you can outthink your opponent, there is nothing that can stop you). However, I have discovered that the more a game resembles chess, the longer that players will sit around and think. And, Arimaa resembles Chess a lot (in looks, not in gameplay). So, this is just something that you should be aware of - if your opponent likes to sit and think, then be prepared to have quite a bit of down time. Overall, I give Arimaa a 9.0/10. I really enjoyed the game, and I think that it is a beautiful example of an abstract strategy. The motto of the game is "intuitively simple… intellectually challenging", and I would have to agree with this. I would highly recommend that anyone that enjoys abstract strategy games try out Arimaa. If Arimaa sound interesting, you might also want to check out Ploy, Gipf, and Brandubh. Today's review is of the solo game (with optional two-player rules) Onirim. In Onirim, you are inside a dream world. In this dream world, you are attempting to go through eight doors in order to escape - but you have to be careful, because terrible nightmares might come out and attack you on your way. (Or something like that - the theme is very odd and unclear to me.) However, here's how the game works - you have a hand of five cards. Each of these five cards has a color and a symbol. In the deck there are also door cards and nightmare cards. Each turn, you must either play or discard a card. You may never play two cards with the same symbol next to each other. If you play three cards of the same color in a row, then you can search the deck, take a door card of the corresponding color, and put it in play. At the end of your turn, you draw back up to five cards. If one of your new cards is a door, then you have the option of immediately playing a card from your hand with a matching color and a key symbol to gain that door - otherwise, it will shuffle back into the deck. If you draw a nightmare card, then you must either discard a key from your hand, put a gained door back into the deck, discard the top five cards of the deck (other than doors and nightmares), or discard your hand and draw back up to five. If you want to avoid nightmare cards, then your only defense is by discarding cards with the key symbol. Whenever you discard a card with the key symbol, you are able to look at the top five cards from the deck; you must then discard one of those cards, and you may rearrange the other cards however you would like. If you are able to successfully get all eight doors into play before the deck runs out, then you win! The first thing that I like about Onirim is that there are a lot of alternative ways to play (or "expansions" if you prefer). What I described above are the rules for the basic game. The basic game is fairly easy, in my opinion. However, once you start adding in more expansions, the game gets quite a bit more challenging. For example, one expansion forces you to play the doors in a certain order - but this added difficulty is (somewhat) balanced by allowing you three different magical abilities. You pay for these abilities by removing from the game a certain number of cards in your discard pile. One of these abilities allows you to swap the order for two of the doors that you need to gain. Another one allows you to take a card from the bottom of the deck and put it on top, and the third allows you to ignore a drawn nightmare card. The second expansion adds more challenges by having four "tower" cards that need to be played in addition to the doors - each of which will get wiped out by a nightmare (if you have not successfully played all four of them). The final expansion adds hate-filled cards that can place a gained door immediately back into the deck, remove all of the red cards from the deck, shuffle a nightmare back into the deck, etc. Mixing and matching these various expansions really allows the game to be less trivial, and forces the player to make more important decisions. Now, even when mixing and matching expansions in Onirim, my biggest con is that the choices that you make aren't especially varied. Essentially, the main decisions you are making are what to play (or discard), and what to do with your keys. Keys can be used to order the deck (and get rid of nightmares), but they can also instantly gain doors when drawn, so they are also useful to keep. Of course, you could also keep them and, if a nightmare is drawn, you can discard one at that point. In the base game, especially, you are simply reacting to what you draw. Do you have a lot of green cards? Then, you should play the green cards and open the green doors. The expansions help mitigate this con to an extent, but ultimately there are not a lot of varied strategies in the game. Overall, I give the game an 8.0/10. That's really about all there is about Onirim. The game isn't terribly complicated, but it is a good option when looking for a portable single player game. 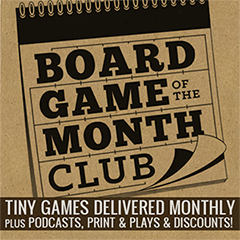 If you are looking for games that you can play solo, you might also check out Friday, Nemo's War, and Lord of the Rings: The Card Game. A game that I have had the opportunity to play a few times recently after much hype is Android: Netrunner (or, Netrunner, for short), one of the newest living card games from Fantasy Flight. Just for fair warning, Netrunner is a fairly involved game, so the rules overview will skip a lot of the smaller rules. Netrunner is a two player game in which one player plays the "Runner" and his opponent plays the "Corporation." Both players are attempting to score seven points from agendas. The Corporation scores them by playing them and advancing them to completion, whereas the Runner scores them by stealing them - either stealing them from the Corporation's deck, discard pile, hand, or in play area. In order to protect their agendas (and other cards), the Corporation can install "Ice." Ice defends any server from the Runner. However, to counter Ice, the Runner can play Icebreakers. On his turn, the Corporation can draw cards, gain money, install cards, play cards, and advance cards (like agendas). On the Runner's turn, he can do similar things (other than advancing cards), but he can also make a "run." Making (and defending) runs is the crux of the game. When the Runner decides to make a run, he first chooses the target. Then, he encounters each piece of ice on that server, and if the piece of Ice is face down, the Corporation has the option of "rezzing" the Ice (turning it over). Only rezzed Ice gets in the Runner's way. During his run, the Runner will use Icebreakers to get through his opponent's Ice. However, most Icebreakers are initially weaker than Ice. Therefore, the Runner will have to use "credits" (money) in order to increase the size of his Icebreaker; and he will also have to use credits in order to break each of the "subroutines" (bad things that would happen) on the Ice. If he successfully gets through all of the Ice on that server, then the run is successful - and thus he gets to steal any cards that he can now access. On a "remote server" he can access the single card that was installed. On other servers, he can access the entire discard pile, a random card from the Corporation's hand, or the top card from the Corporation's draw pile. The first player to score seven agenda points wins! The first pro for Netrunner is that it is beautifully asymmetric. I have played a lot of games, and many of them have some element of asymmetric gameplay. Often this takes the form of slightly different rules, different starting positions, and different victory conditions. However, Netrunner blows that completely out of the water. In Netrunner, there is nothing that is shared. The two sides have different inherent strategies, play cards differently, and are the counter of each other in every way. Whereas this makes the game a bit hard to teach, it is done so beautifully that the time spent learning the game definitely feels like a worthy investment. I still struggle to wrap my mind around how you would create a game where the sides are this diverse and yet make it balanced for both sides. Bravo. The next pro for Netrunner is that I think the secret information in the game adds an interesting suspense. Though, specifically, it is primarily the Corporation that is hiding information from the Runner. Between the different pieces of Ice that are not yet revealed and the different cards installed on remote servers, the Runner must make a lot of decisions based on limited information. This also adds a bluffing element to the game. The Corporation may create a remote server that is highly protected by Ice and then put a non-agenda card in it (unrevealed) in order to get the Runner to focus a lot of effort on it (thinking that it is an agenda). More so, the Corporation even has some trap cards that are allowed to be advanced, and thus it will look exactly like an agenda until the Runner has some way of seeing it - either by playing a card that exposes it, or by making a successful run against it. But, a successful run against one of these traps will probably be very harmful to the Runner. A third pro for Android Netrunner is that I like that nothing is safe (well, unless it is highly protected by Ice). 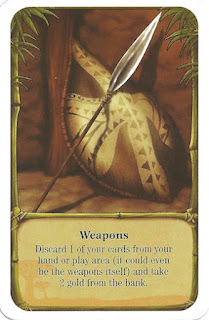 A Runner is allowed to target any cards the Corporation has, aside from scored agendas. Specifically, the Runner can target your hand, your discard pile, your draw pile, and any card that you install on your side of the board. Thus, you can never have an agenda that the Runner can't steal - all you can do is hope to protect it enough (or bluff well enough) that he doesn't manage to steal it before it is completed. I also like that the runs can be helpful ("the runs can be helpful" - yes, maybe I have the mind of a teenager, but that makes me chuckle; ah, bathroom humor) even without finding an agenda. The Runner has the option of trashing any card that he finds, if he is willing to pay the trash cost for it. This is a good (but expensive) way to counter what the Corporation may be planning. I could probably list off several more pros, but let's get to an important point of note and then a couple of cons. 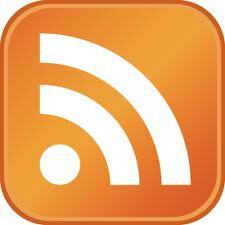 First, the point of note - the Runner is very reactionary, whereas the Corporation is very defensive. If you tend to strongly prefer one of these strategies over the other in games, then you should know that you will probably have a favorite side to play. Specifically, the Runner is always trying to make runs to have a chance of stealing agendas. His turn will be easier or harder depending on how well the Corporation has defended his servers. His success in scoring points is also dependent on the Corporation - because if the Corporation never draws agendas, then the Runner can never score (granted, neither can the Corporation). Conversely, the Corporation's entire goal is to defend. It is in his best interest to have a lot of ice on every server. The more heavily defended that the Corporation can be, the more likely that he will have time to advance his played agendas to completion - and thus the higher his chances of victory. Now for the cons of the game. Both of the cons will be related to the Corporation drawing agendas. First, the entire pace of the game is set by the frequency with which the Corporation draws agendas. If they are all at the beginning, then the game will be very fast and hectic. However, if all of the agendas happen to be on the bottom of the deck, then the game can really start to feel like it is dragging quite a bit as the Runner is making (possibly successful) runs, but they all seem pointless. Even as the Corporation, not drawing agendas for a long time can start to feel boring, as you're constantly setting up defenses (which is good for you), but you can start to feel like you are stalling. This leads to the second con which is that the frequency of the Corporation player drawing agendas can highly favor one player over the other. Now, yes, most card games have a luck of the draw element, and Netrunner does as well where each player hopes to draw their best cards, but that's not what I mean. Netrunner is unique in that the draw of one of the two players will help determine who is "luckier". If the Corporation player draws a lot of agendas early, this highly favors the Runner - the Runner is able to make a lot of runs before the Corporation is able to setup a lot of defenses, and has a much higher chance of stealing an agenda. 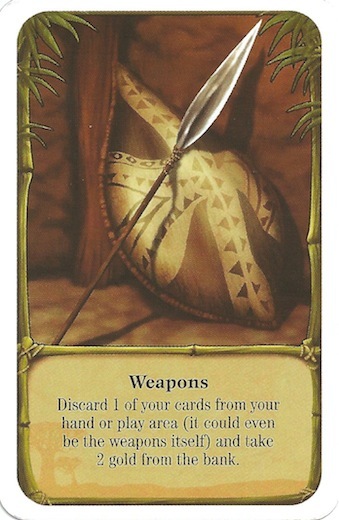 Whereas, if the Corporation draws a lot of his agendas near the bottom of the deck, then this highly favors the Corporation - he can setup a large number of defenses and have them all in place before the Runner has the opportunity to gain anything useful; plus, the Runner quite possibly will have used many of their best cards on making successful runs earlier without scoring any points. I think that this is a very strange dynamic of Netrunner - but the best games of Netrunner seem to be when the Corporation's agendas are evenly distributed throughout the deck. Overall, I give Android: Netrunner an 8.5/10. 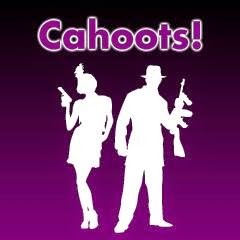 It is a really fun game, and I'm glad that I got to invest the time to play it several times. However, since it is a living card game, I must decide whether I'm going to continue with this franchise or not. I currently have three other living card games that I prefer over Netrunner (Lord of the Rings, Game of Thrones, and Star Wars) and so I will probably not to continue investing in this one. If Netrunner sounds interesting, you might also check out Mage Wars, Glory to Rome, and Star Wars: Customizable Card Game.